Mud covers the Olivier stage. It’s dark, nearly black, thick and peaty. The ‘emerald’ part of the Emerald Isle is pointedly absent. The muck’s heavy and pervasive, working its way into every crevice of the rural hedge school where students of all ages learn Latin and Greek. They don’t mind the mud. But the British soldiers that come with their imposing colonisation, also working its way into nook and cranny? That’s where the villagers take issue. Brian Friel’s searing attack on British imperialism and entitlement is still painfully relevant, nearly 40 years after it was and nearly 200 years after the events depicted in the story. As the British army relentlessly maps Ireland and anglicises Irish spellings to English and condescends to the non-English locals, it’s easy to imagine similar in Brussels as British representatives peacock around Brexit negotiations brandishing metaphorical sledgehammers. Another analogy that springs to mind is Home Office staff telling black British citizens they aren’t entitled to be here. It also resembles any other situation, work or social, where British people sneer at foreigners and brazenly display a sense of superiority. As Friel’s play gradually reveals the creeping horrors of colonisation that is nothing short of cultural theft, I reflect on my own experience of submission to this country that I’ve made my home. Though willingly given, I have surrendered my most identifying feature as a foreigner – my accent. My neutral American twang proved to be an obstacle rather than a gift in trying to secure performance work in the UK. After being told by my agent that she wouldn’t put me up for anything other than American roles until I “sorted out my accent”. (Yes, reader. Those were her words.) Wanting so much to perform the Shakespeare I came here to do, I forced my mouth to change its shapes until the awkward became a habit. This snobbery and imposition of values that is so helplessly infuriating gives this production its power. The long, meandering first half is gentle and slow, like countryside living. The invasive species this is first joked about and not taken seriously is an unstoppable threat to lives and livelihoods by the end. If I were British, I’d be embarrassed by my nation’s past after seeing this production. It takes time to gather momentum, but Friel’s script masterfully uses a common language to cleave a canyon between British and Irish cultures at the time and bring people together despite of this. Though Britain may wield its self-appointed importance like a meat cleaver, the moments where the lights change and the brown mud becomes an unexpected deep, rich green is an encouraging hug that picks you up again so you can continue the fight against the oppressor’s tyranny. Translations runs through 11 August. The Play’s the Thing UK is committed to covering fringe and progressive theatre in London and beyond. It is run entirely voluntarily and needs regular support to ensure its survival. For more information and to help The Play’s the Thing UK provide coverage of the theatre that needs reviews the most, visit its patreon. Laura is a US immigrant who has lived in the UK since 2004. 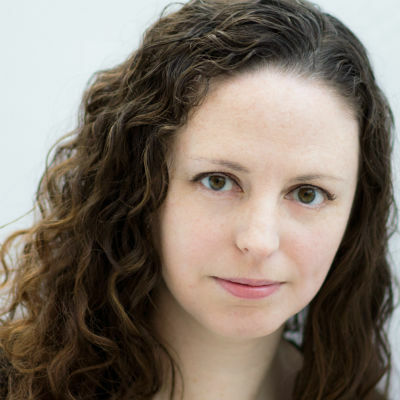 Originally trained as an actor with a specialism in Shakespeare, she enjoyed many pre-recession years working as a performer, director and fringe theatre producer. When the going got too tough, she took a break to work in education as a support worker, then a secondary school drama teacher. To keep up with the theatrical world, she started reviewing for Everything Theatre and Remotegoat in 2013. In 2015, Laura started teaching part time in order to get back into theatre. She is now a freelance fringe theatre producer and runs her independent blog, theplaysthethinguk.com. Selladoor Worldwide’s tour of Little Miss Sunshine will not play the Edinburgh King’s in November as previously scheduled. However it appears that the show’s other tour dates, including the Glasgow King’s in July, are due to go ahead. A spokesperson for the Edinburegh King’s was not able to elaborate, but confirmed to All Edinburgh Theatre that: “Due to unforeseen circumstances Little Miss Sunshine will not be playing Edinburgh King’s Theatre in November 2019″. Æ understands that the decision to cancel the Edinburgh performances has come from Selladoor rather than Capital Theatres, which runs the King’s. Selladoor’s other musicals booked to tour to the King’s, which include Avenue Q and Amelie The Musical, are not effected. This is the third cancellation inflicted on Capital Theatres this year. The entire tour of To Kill A Mockingbird, due to play the King’s in April, was pulled following threats of litigation from the American rights holders. And the regional tour of Dr Doolittle, due to play the Festival Theatre in May, was cut short in January due to poor ticket sales. Little Miss Sunshine has opened at the London Arcola to mixed reviews. The Evening Standard, A Younger Theatre and Londonist’s four star tributes were tempered with two star damp squibs from The Stage, The Times and WoS, while The Guardian, Time Out and Metro’s faint three star praise was fairly damning. 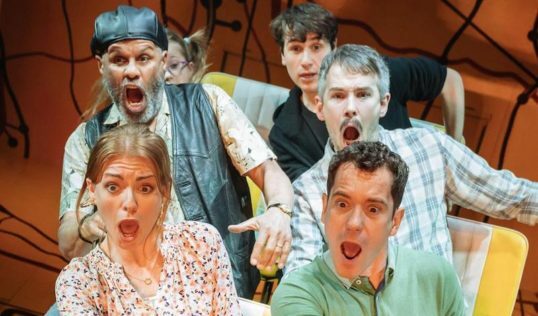 Based on the Oscar-winning film of the same name, Little Miss Sunshine is a new musical comedy from Tony Award-winners book-writer James Lapine (Into the Woods, Sunday in the Park with George) and composer William Finn (Falsettos, 25th Annual Putnam County Spelling Bee). The show is due to take to the road in May with a 22 venue tour booked through to the King’s in November, including Scottish dates in Glasgow (July 2 – 6), Aberdeen (Sept 17 – 21) and Inverness (Oct 22 – 26). There is a fortnight gap between Inverness and the cancelled Edinburgh dates. 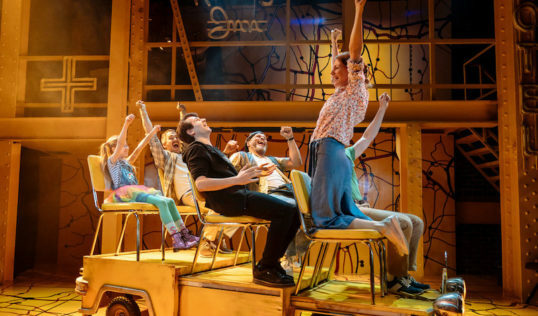 The Little Miss Sunshine website is still showing all venues on sale, and social media posts over the weekend state that the UK tour will be covering over 4000 miles and more than 20 theatres. All Edinburgh Theatre has attempted to contact Selladoor for a comment.